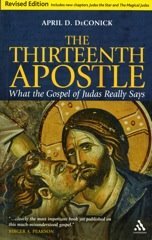 The Forbidden Gospels: Did Jesus have a wife? The reason that their tradition remembered Mary in this way is because they believed that marriage was the sacred creative activity of God and God's manifestations or Aeons. They also believed that their own human marriages were reflections - what they called "an image" - of the eternal marriages of the Aeons. 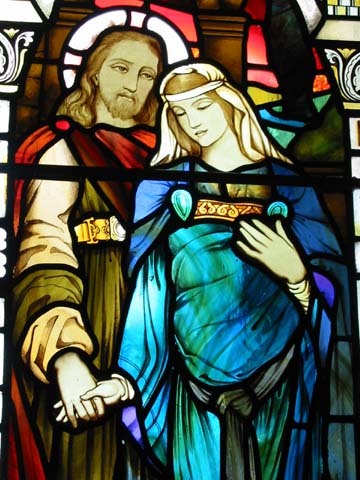 Jesus' human marriage to Mary Magdalene was believed to reflect the sacred marriage of the Aeons Jesus and Sophia. Furthermore, the Aeons Jesus and Sophia were the spiritual twins or angelic dopplegangers of the human Jesus and Mary. If you are interested in learning more about this practice and its sexual implications, I have written a chapter about it in Holy Misogyny, called "Is Marriage Salvation?" along with a chapter on Mary, called "How do we solve a problem like Maria?" Good points and information about the Gospel of Phillip. I would agree, and like to think that he was married, since I see marriage as something Godly and good. April, does the Coptic word behind "companion" in the translations actually signify "wife" or "consort" or is it more neutral? If it just means "companion," the new text makes explicit what the Gospel of Philip at most implies. I thought the Gospel of Philip was a little too lacunal to say it calls Mary a consort of Jesus, no? Also what do you make of the boldfaced portions of this new papyrus? Any significance there? I have recently gone through James Tabor and Simcha Jocabocivi's book, The Jesus Discovery where they related their experience in exploring two tombs in the Jerusalem suburbs. In one of the tombs, called Garden Tomb, ossuaries (small limestone boxes) containing bones were found. And these ossuaries had names on them. One was Jesus son of Joseph, another Maria Mara, another Jose son of Joseph and still another Juda son of Jesus. These two learned authors believe the Maria Mara to be Mary Magdalene and that this tomb was the family tomb of Jesus the Christ. If their findings prove correct, Jesus was married to Mary Magdalene and that they were buried together in a family tomb along with their son Juda and possibly (at least) a brother of Jesus.